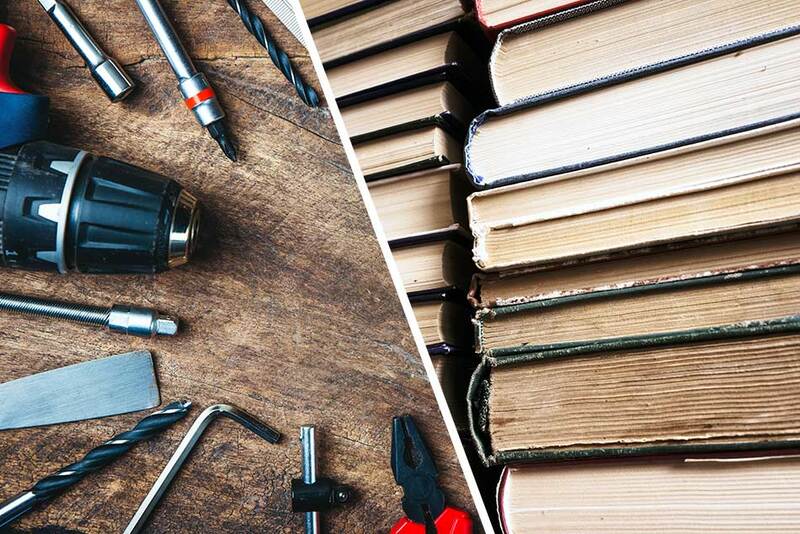 EVERY YEAR, HIGH SCHOOL GRADUATES FACE THE SAME DIFFICULT CHOICE: SHOULD I GO TO COLLEGE, OR BECOME A TRADESPERSON? Every fall, a new class of freshly minted college freshman heads off to school. But there are many young adults who hold off for a year while they try to decide what their next step will be—what schools to apply to, what majors to select, and so on. For many others, there’s an even larger question: is college even right for them at all? For an increasing number of young adults, this raises the question of how college compares to pursuing a skilled trade, such as becoming an electrician. How do the educational costs compare, and perhaps more importantly, how do incomes compare in the long run? Unsurprisingly, pursuing a 4-year degree is extremely costly, no matter what school you choose. Only a few years ago, the common wisdom was that you could obtain a bachelor’s degree rather cheaply by simply going to a “state school.” But today’s reality is that even the well-respected California State University college system is no longer the economic choice it once was. For the 2017-2018 school year, Sacramento State University website’s estimate for annual tuition fees alone was $7,204. For students who living with their parents, the school estimated annual cost of attendance would amount to $16,854. Those living on-campus or in near-by housing could expect costs of more than $25,000. For those considering the University of California school system, you are most certainly in for some sticker shock. Nearby UC Davis’ estimated cost of attendance for the 2018-2019 school year as more than $30,000 for students who lived off-campus, and $35,000 for students who lived on campus. If you’re currently reaching for a calculator so you can multiply those figures by 4 to see how much it would cost to get a 4-year degree, well, prepare to be disappointed. The cost of college today is worsened by the fact that most college students don’t finish 4-year degrees in 4 years. A study titled The 4 Year Myth found that only 19% of college students finish a bachelor’s degree in 4 years. Less than 10% of colleges managed to graduate a majority of students within four years. Why are so many students getting bogged down? Common issues students ran into included difficulty registering for required courses that were in-demand, losing credits while transferring between schools, and simply not taking enough credits per semester. The problem has become so severe that many institutions and educators assume that a 4-year degree will take 6 years to complete. But even this isn’t a safe assumption. The National Center for Education Statistics (the federal institution tasked with analyzing statistics relating to education) found that of students that enrolled in a 4-year college in 2010, only 60% graduated within 6 years. If you’re one of the 19% who manage to graduate within 4 years, it will only cost you a mere $100,000 or so to earn a degree from Sacramento State, or $120,000 from UC Davis. But for each additional year, tack on an additional $25,000 to $30,000. One of many benefits of pursuing a trade is that trade schools can be completed quickly, and affordably. Okay, so maybe it’s worth exploring your other options. But aren’t trade schools pricey as well? Not at all. For instance, I-TAP’s 6-month electrical journeyperson certification program costs a total of $17,000 to complete ($16,500 for tuition, $500 for books). For less than the cost of attending Sacramento State for a single year, you can complete all the training necessary to successfully pass California’s electrical journeyperson certification exam. In addition, of the students who enrolled in our program, 88% completed it successfully. Of course, that raises another question: how do college students—and our students—fare once they graduate? On average, college students fail to recoup their education costs within 5 years of graduating, while I-TAP’s students are out of the hole within a year. One of the biggest financial challenges facing college students is that they make next to no income during their college years. They work odd jobs in college town job markets so saturated with workers that it’s rare to make more than minimum wage. As a result, state college students see a net loss of about $28,000 over the first five years after they start their degrees. It’s worse for University of California students, who on average are about $80,000 in the red five years later. Meanwhile, I-TAP’s students have wrapped up their education within 6 months of starting, and everything after that is pure profit. On average, our students have a net income of about $163,000 five years after they start their I-TAP education. That advantage holds true even after that first five years. In the 6th through 10th years after attending I-TAP, our students average a total income of about $340,000 ($68,000 per year), while college graduates average $230,000, or about $46,000 per year. That’s why many of our students—and their parents—are happy to have pursued an educational path that didn’t saddle them with decades of student loan debts. If you would like to learn more about how I-TAP can help you get started on the path to a profitable and comfortable career in the electrical field, contact us by calling (916) 332-3332, or fill out the form below. We look forward to getting in touch with you!